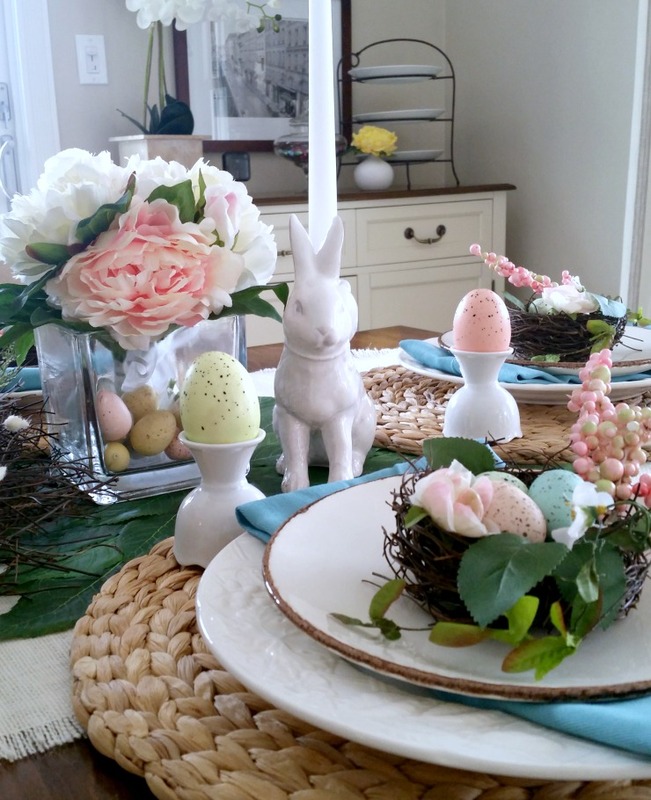 Setting a festive table in my home always sets the tone for the new season and Easter is no exception. 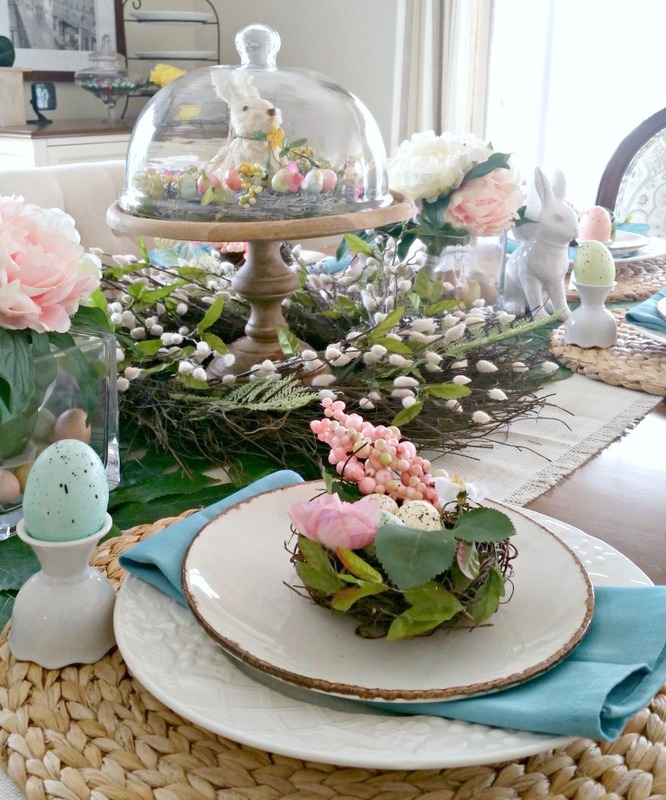 This year, my spring table scape consists of pretty pastel hues, rich textures and nature inspired elements. Welcome! 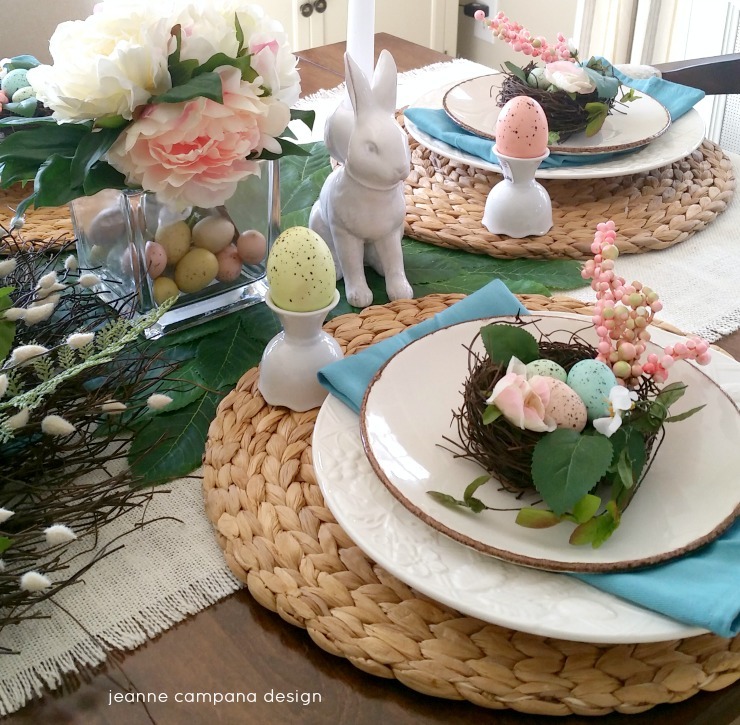 I started with a burlap table runner that I purchased from Pottery Barn a few years ago and layered it with beautiful lemon leaf placemats to add a touch of spring green to the center of the table. For the centerpiece, my wooden cake pedestal sits on top of a twiggy wreath I found at a local craft store. 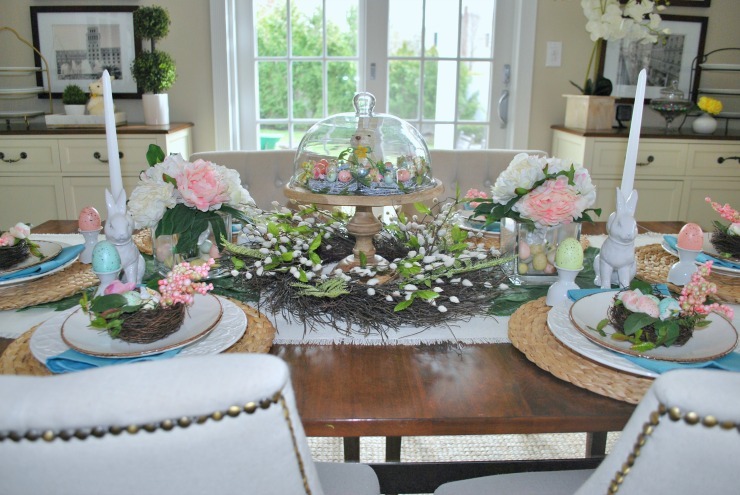 The addition of pretty pink flowers nestled in egg filled glass vases and white ceramic bunny candle holders from Tuesday Morning completed the look. 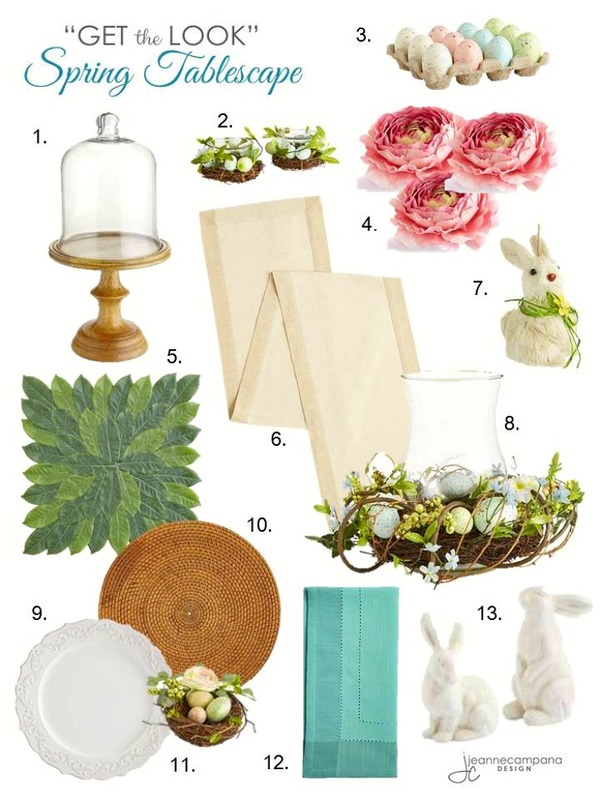 For the place setting, round seagrass placemats anchor my white wedding china and rustic appetizer plates found at HomeGoods hold a lovely grapevine nest of speckled eggs. 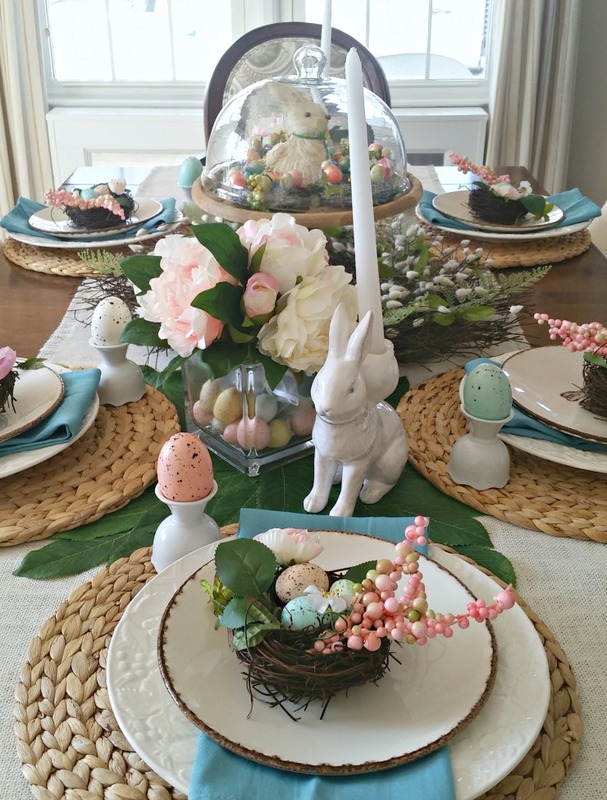 A touch of robin’s egg blue found in the napkins instantly brightened up the table and simple white egg holders (which I turned upside down) make the perfect place card holders. READY TO “GET THE LOOK”? 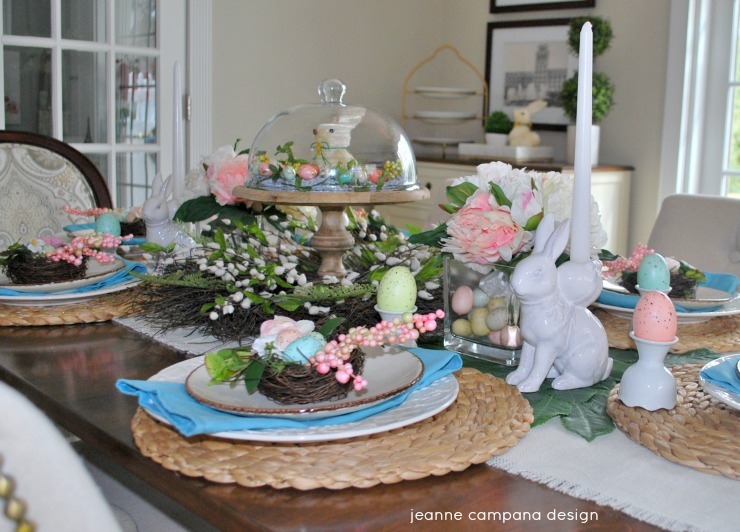 When it comes time to planning my Easter menu, I keep it somewhat simple with tried and true classic recipes that my family truly enjoys. One of my favorites, Ina Garten’s Baked Shrimp Scampi, will be making its way to my Easter table again this year and has been on my holiday menu for years. I am happy to share this delicious recipe and I hope it becomes one of your family favorites too! 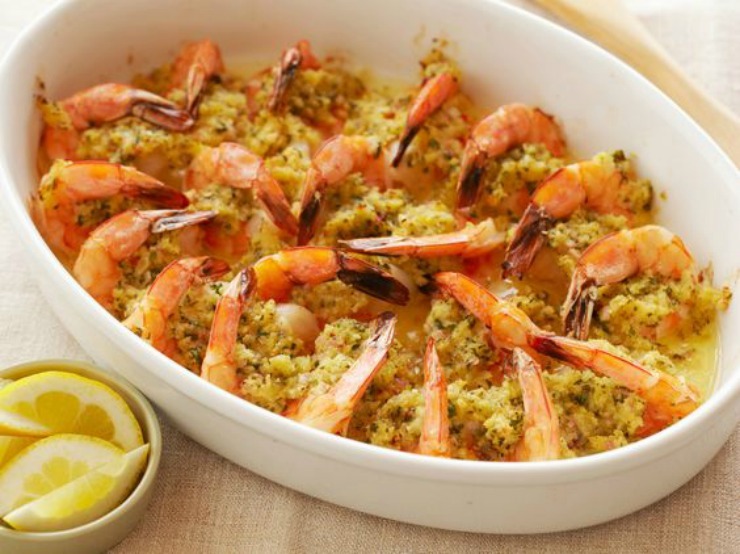 Starting from the outer edge of a 14-inch oval gratin dish, arrange the shrimp in a single layer cut side down with the tails curling up and towards the center of the dish. Pour the remaining marinade over the shrimp. Spread the butter mixture evenly over the shrimp. Bake for 10 to 12 minutes until hot and bubbly. If you like the top browned, place under a broiler for 1 minute. Serve with lemon wedges. Enjoy! 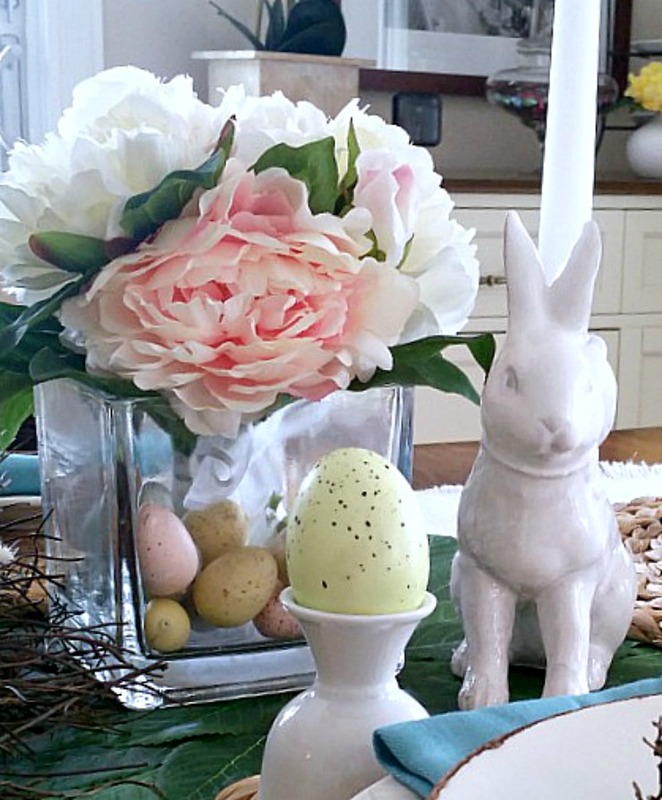 Happy Easter friends! I hope you have a wonderful day with family and friends!